Mission Repair has posted a photo showing an iPad back-enclosure that has two dock connectors -- one on the landscape side and one on the portrait side. Ask and you shall receive: Heres a shot of an iPad back case showing the dock connectors both on the bottom of the iPad (as were used to) and on the side of the iPad so you can dock it in landscape mode. Just as we hoped. The current iPad model only has a dock connector on the portrait (narrow) side. Apple has had patents describing this configuration and early rumors that described this design for the original iPad. 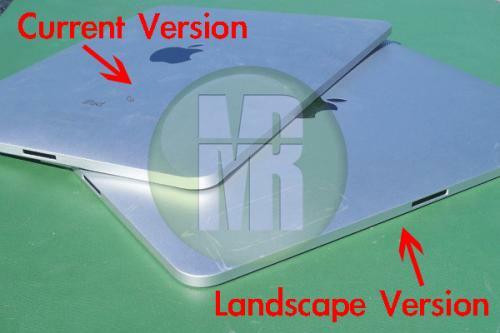 Mission Repair believes this could represent the next iPad. However, we've heard that this design was for the original iPad and subsequently scrapped. We suspect this is an old hardware prototype for the original iPad, as the next iPad has been said to take on a thinner form factor.